RapidAIM CEO | Dr Nancy Schellhorne in field deployment of the new smart traps. Fruit flies cause approximately $30 billion of damage to fruit and vegetable production globally each year. Impacting commercial producers and home gardeners alike, fruit fly attack occurs when a female fruit fly lays eggs in the flesh of fruit or vegetables. The hatched larvae eat the flesh, causing it to ripen prematurely and rot. Traditionally, the monitoring and control of fruit fly outbreaks is managed by the deployment of 100’s of thousands of passive lure based Traps. 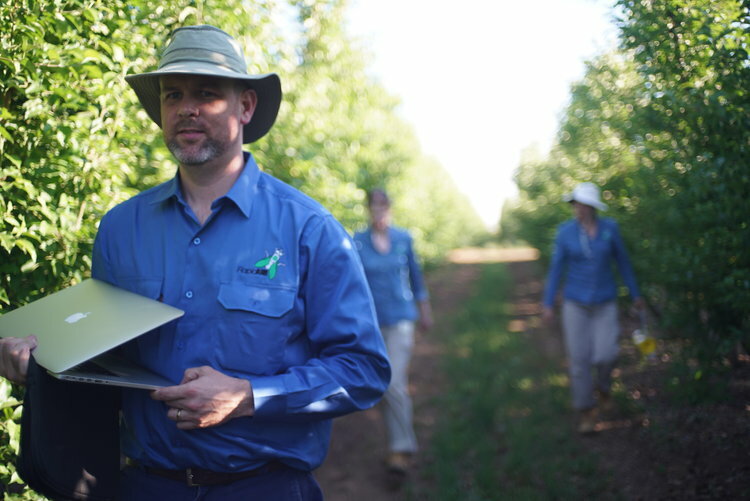 Agronomonist and Farm labourers need to regularly inspect and report the status of these traps through out the Fruit Fly breeding and growing season. Many of these traps are usually empty, making it a long, laborious process. However, fruit flies caught in a trap may be a sign of an outbreak, and the time taken between checks may delay vital containment responses by authorities. Clandestine Design Group was approached by RapidAIM to create an IoT fruit fly trap that is smart enough to remotely detect, count and notify authorities of potential Fruit Fly dangers in a regionally active manner with live and accurate data. RapidAIM (former CSIRO researchers) combined their knowledge of insect behaviour with proprietary hardware and software to detect fruit fly in traps. The patented technology uses an ultra-low-power sensor to detect the presence of an insect and classify whether the insect is a fruit fly. 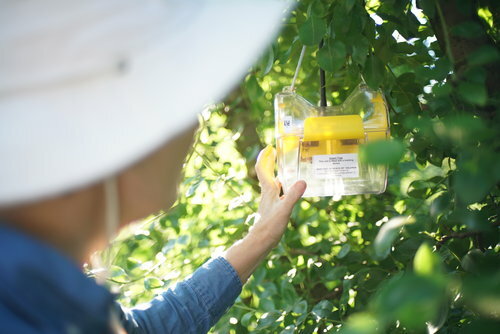 Unlike expensive camera-based traps which have high power and data needs, RapidAIM's low-cost sensors identify the unique patterns of fruit fly behaviour as they enter a trap. A network of wirelessly connected RapidAIM traps automatically detects fruit flies, and sends alerts in real-time to a cloud-based analytics and storage platform, linked to a mobile app. Receiving real-time phone alerts d early warning forecasts are instantly created for fruit fly hot-spots. Outside of deploying this innovative new technology to the growing regions of Australia, CDG and RapidAIM other challenge was to cost effectively develop a trap enclosure system that would attract the flies yet stand up to the harsh exposed agricultural environment the trap would spend its life within.